If you are facing a court date in Pontiac Michigan at either the 50th District Court or the Oakland County Circuit Court (also known as the 6th Circuit Court), do not go to court without the representation of a experienced local attorney. Hilf & Hilf, PLC aggressively defends clients for all tickets, ordinance violations, misdemeanors, felonies, and probation violation allegations in Oakland County and throughout Michigan. When the way you live your life and your future are on the line it is important to have a top rated Oakland County lawyer when going against officers from the Oakland County Sheriff's Department, detectives, Pontiac city attorneys, assistant Oakland County prosecutors and the overwhelming money rich resources of law enforcement and the criminal justice system. The bottom line with a ticket or criminal offense is fighting for the best imaginable result. Having an aggressive lawyer with legal acumen, sharp intellect, who does not bow to the pressure tactics of Pontiac city attorneys and assistant Oakland County prosecutors, possessing vast experience litigating cases, with a well established and solid reputation in the legal community, who is looking to press for your every possible advantage, is what you need from the attorney you hire. Reclaim your life and take control of your future by retaining the services of Oakland County criminal lawyer Daniel Hilf. When it comes to the criminal defense of cases at the 50th District Court or Oakland County Circuit Court there is no room for mistakes, faulty legal advice, ignored client communications, or for anything short of respectful and zealous legal representation. 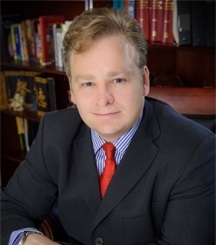 Attorney Daniel Hilf's obligation to his clients is to aggressively defend and protect clients who are in Court due to an allegedly bad moment in their lives, and to assert thoughtful defenses for trial, or to work out the best possible resolution at the client's direction - no matter what the charge or accusation. Attorney Daniel Hilf is highly trusted by Michigan attorneys and clients because he is always squarely on his clients' side, and fights hard to prevent clients from becoming casualties of the criminal justice system. Attorney Hilf's Oakland County based law practice is a huge asset to clients, because he is familiar with the psychology and legal philosophies of the Judges, assistant Oakland County prosecutors, and Pontiac city attorneys to press for your best outcome, given the facts and circumstances of your case. False accusations are the most damaging aspect of "criminal justice" because they subvert the justice system by wrongly treating victims as criminals. Part of the problem is defective law enforcement practices that can lead to wrongful arrests and wrongful convictions. The causes of false accusations are multifaceted and extremely complex, and in many cases include: bias; lies; police officers jumping to false conclusions; mistakes made by police officers and/or eyewitnesses; deception; assumptions that are misguided or wrong; prejudice; persons that are purposely targeted by police officers due to a prior record (rounding up the "usual suspects" mentality); violations of Constitutional rights, etc., etc. A common perception by law enforcement officers is that their duty is to build cases, instead of looking at matters in a neutral manner. With some cases, such as domestic violence, arrests are sometimes made based upon speculation or a hunch when law enforcement is presented with conflicting evidence. The outcome of this type law enforcement mentality is sometimes the arrest and prosecution of innocent people. Attorney Daniel Hilf vows to work long hours preparing cases to battle for the right result. Overcharging is another pervasive and extremely damaging issue in criminal cases. Overcharging occurs when the prosecutor's office or city attorney makes a decision to prosecute a more serious charge, exaggerating the degree of wrongfulness that allegedly occurred. For example, a person who uses cocaine recreationally may face prosecution for intention to deliver cocaine based upon a statement by an unreliable confidential informant and the quantity of cocaine seized. In some cases a great result is to litigate an overcharged offense to obtain a conviction for the accurate lessor charge. Obviously litigating to obtain an acquittal of all charges is appropriate in many cases. The trial strategy employed depends upon the facts and circumstances of the case, and the litigation strategy that you and your attorney choose to pursue. Defending clients' rights, placing the case in the correct light, informing clients, well thought out litigation, compassion, and fighting for the right result all play large roles in attorney Daniel Hilf's approach to cases. Please feel free to contact attorney Hilf today when you are ready to take the step to obtain legal counsel who is in your corner. Have you been accused of a crime and have to go to court in Pontiac at the 50th District Court, Oakland County Circuit Court, Juvenile Court, or elsewhere in Michigan? Local Oakland County attorney Daniel Hilf offers professional and experienced legal representation for his clients. Lawyer Daniel Hilf's office is a short drive from Pontiac and conveniently located at 1775 W. Big Beaver Road in Troy, Michigan 48084. Make sure you throughly examine the professional history of the lawyer who you want to retain. Your examination of the professional history of criminal defense lawyer Daniel Hilf will tell you the following: he has over 20 years of experience with over 100 completed jury trials (many successfully); he has tons of extremely satisfied current and former clients; he is referred by other lawyers and former clients to handle cases; he has a well staffed office in Troy Michigan; and he has won national awards for his legal advocacy. It is time to start having positive thoughts about your legal situation and to take some real steps to help yourself. A top rated attorney is available for you, and payment plans are offered in many instances. Attorney Daniel Hilf accepts many different forms of payment including: credit card, debit card, wire transfer, money order, cash, cashier's check, personal check, giving you a choice of payment options to obtain a great lawyer. Please contact Hilf & Hilf immediately for any Pontiac ticket or criminal accusation.